Last night, I was trying to catch up on my huge stack of unread magazines (there is a huge stack of books right behind them!) when I came up on a story about the WWII internment of Japanese-descent Americans in a stamp-collecting magazine (yes, I am one of those nutters). 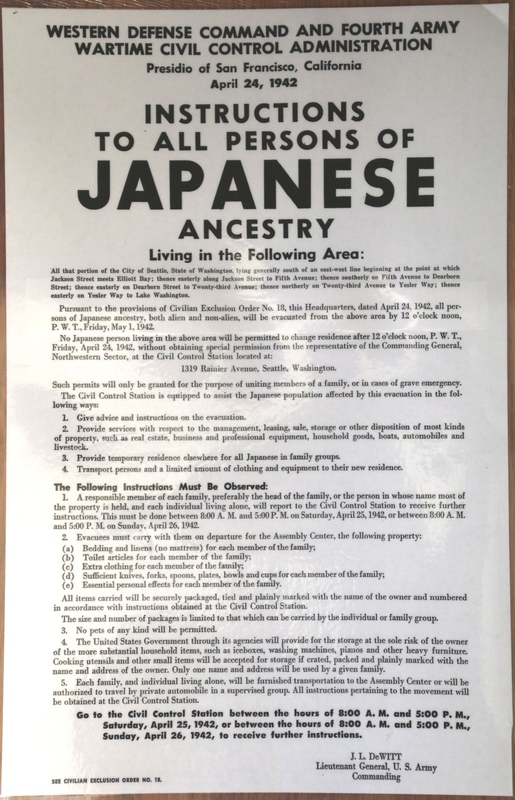 On February 19th, 1942, President Roosevelt signed an order leaving it to the military to designate “exclusion zones” and then moving the Japanese-Americans to “detention centers”. In spite of the fact that these were all Concentration Camps, the euphemisms they were known by were: “Assembly Center”, “Relocation Center”, “Isolation Center” and “Temporary Camps”, mostly along the deserts of the West Coast. In all, about 88% of the Japanese Americans…112,000 people were interned, most of their properties were “sold” at fire-sales or expropriated. Their actual losses at the time, were about $400 million, Congress generously provided a restitution after the war, of about $38 million and President Reagan signed an Act of apology in 1988.